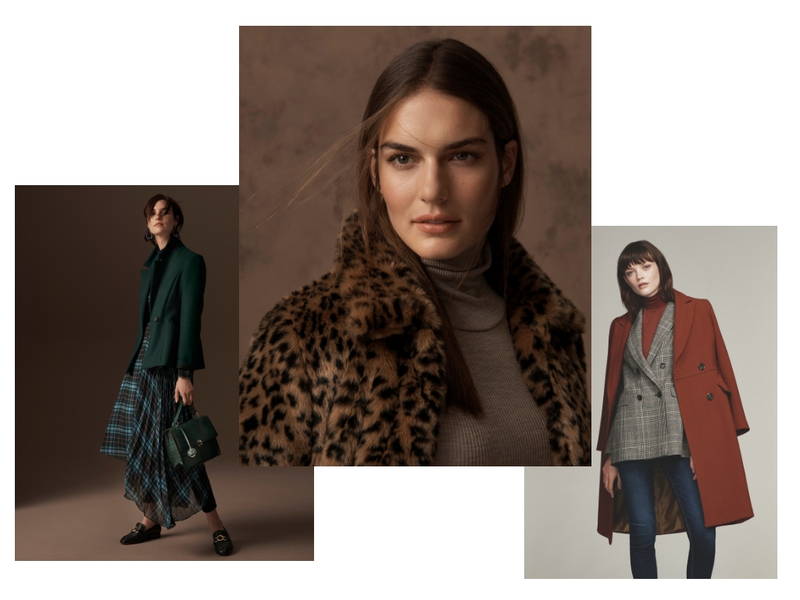 If you’re looking forward to autumn as much as us, you’ll love the new AW18 trends that will see you through the new season in style! We’ve picked 5 key trends that will become the perfect addition or finishing touch to your outfit over the next couple of months. From shimmering metallics to bold tartan prints you won’t be disappointed! If you’d like more advice on how to wear the new trends please get in touch. We have a variety of stylists available from as little as £35 an hour. We are dedicated to matching the perfect stylist to every client to cater for your needs. Animal print never goes out of fashion and is always a roaring success in the style staple game. They might be wearing head to toe animal print on the catwalk but a statement coat or pair of boots is the perfect nod to our favourite trend. We’re not just talking leopard print either, we’re going wild for zebra, snake and tiger too. Best Place to Buy: Marks and Spencers is killin’ it with their footwear game. What’s not to like?! Create interesting, chic outfits without forking out for a huge heating bill this winter. The designers definitely upped their layering game with coats on top of coats. Pop the collar of your plaid blazer when you slip on your wool coat this season. You’ll thank us later. Best Place to Buy: Zara never fails with a selection of fine tailored pieces and outerwear. There’s always a place for neat folded pleats in our wardrobes especially the midi skirt kind. Team with a chunky knit, statement logo tee (another key trend of the season) and pair of ankle boots for a chic, stylish look. Best Place to Buy: Mango aims to please with their range of pleated designs. Add a flash of silver to your autumn look and glisten all through the winter months. Whether it’s a pair of metallic boots, a shimmering blazer or shiny belt, you will never regret this futuristic purchase. Best Place to Buy: Topshop always brings a hint of shimmer. Giving animal print a run for its money is bright red tartan. Check in this season with a slick pair of tartan trousers, oversized coat or mini skirt to make a statement wherever you go! Best Place to Buy: New Look ticks all the boxes with their tartan pieces.